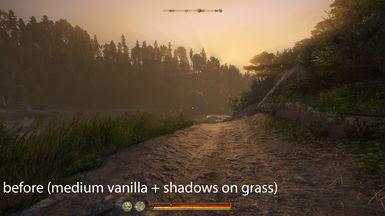 You can now play with Shadows on Grass like HIGH+ presets! Costs ~2 FPS. You can also download a High Resolution Pack, Costs ~3/5 more FPS than Standard Edition. 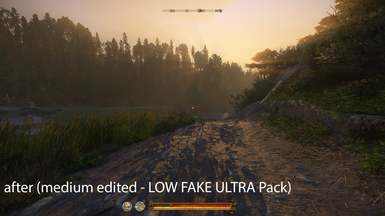 You can now download LOW FAKE Ultra Pack (includes Shadows on Grass). Costs ~3 more FPS than Shadows on Grass. 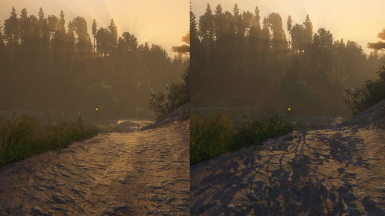 You can see the result of Better Shadows for LOW & MEDIUM + my reshade (REALISTIC LIGHTING Reshade).